German pianist Robert Neumann (*2001), winner of ICMA’s Discovery Award 2017, has been raised in a musical family. 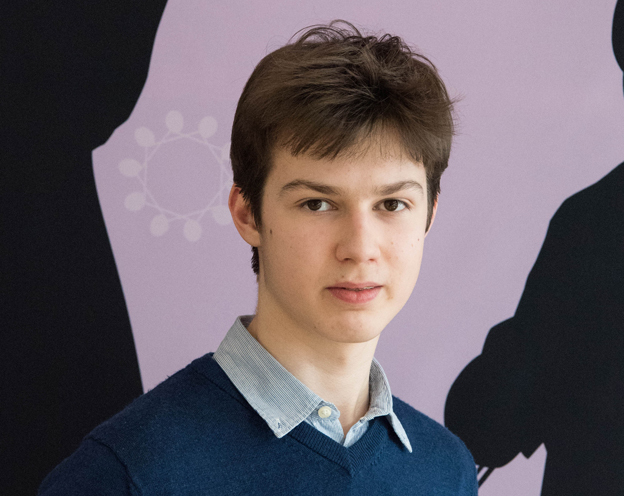 He was eleven, when he was admitted as junior student in the class of Prof. Elza Kolodin at the die Musikhochschule Freiburg, and when he turned 15, be became a regular student. He also studies at the International Music Academy of Liechtenstein. He has given numerous concerts in several countries. Remy Franck and Andrea Meuli made the following interview with him. You are at the beginning of an international career. When did you know that you would become a pianist? Since I grew up in a musicians’s family I practically got in touch with every kind of music and also with other musicians from my childhood on. For as long as I can remember, the music was the purpose of my life. That is where I grew up. A home without practicing, rehearsing, listening and concerts, without all this ‘noise’ would be unimaginable for me. Was another instrument never possible? I played the violin for seven years, and becoming acquainted with another instrumental group really helped me a lot in my general music education. But the piano, so similar to the organ and the orchestra, always carried out a greater fascination on me. The piano thus gives me freedom and space to fantasize in the limitless depth of its spectrum. Is there a life besides playing the piano? Do you have hobbies? Or do you have to subordinate everything to the piano? My day is as long as the day of other people. And of course it is mostly shaped by my musical occupation, by moderate practicing as well as composing. I frequently attend concerts because of my interest in performers, works and generally the current music world. Additionally, I can easily get excited by ancient times and sporadically I keep myself occupied with ancient philology and philosophy in Greek and Latin literature. What has once been my main hobby became over time one very important activity. But it won’t become a burden because I am happy for the fascination of each moment. Sportsmen face the problem of over-practicing. How does that work for a young pianist? How long is he able to practice? What does the body, and first of all, what do the fingers and hands have to endure? There is undoubtedly a healthy measure of practicing. If you overstep it, conceivably it could have unpleasant physical consequences. Yet, besides the physical aspect, there is the mental one. In the case of concentrated, effective practicing, the question of the muscles’ resilience and of the playing apparatus does not necessarily arise, but rather the question, when concentration and efficiency decrease over mental fatigue. In terms of the physical condition the pianists are really lucky. Our instrument is naturally and symmetrically aligned with us sitting at the piano, contrary to the playing position of many other instruments. A pianist has many possibilities: Solo, as a soloist with orchestra or as a chamber musician. Do you have preferences? I have already tried out all constellations, and since each one has its own charm, I will pursue all of them in the future. I try to produce a balanced repertoire with regard to the different instrumentations. Repeatedly I am experiencing a piano concerto as a chamber music event, at the same time, chamber music can mutate into a piano concerto, and sometimes, during a piano recital, you can even become your own conductor. How lonely do you feel during a piano recital? Am I really lonely? I do not feel lonely but rather comfortable: on the one hand I have the audience, friends, people with whom there is something to share, and on the other hand there is my instrument, which gives me the completeness of what I have to express. Some compare a concert with a man who is left with a wild animal in an arena. This is by no means as absurd as it may sound, because as a pianist you have to be aware that you do not want to fight with the instrument. I rather slip into the role of an animal tamer, with the aim of winning the piano’s trust. No matter what the condition of the piano is, whether it is old, powerful, dull or aggressive, it seems important to me not to force anything, but to give the piano and the interpreter time to build a relationship, so that a versatile result can be felt. The comparison is quite striking to me, since one has to treat the instrument as a living being and thus evoke processes which occur on many different levels and which are precisely those which compose art for me and bring it to life. The piano repertoire is huge – where are your preferences? If I had to decide and to respond to the question in a definite way, I would judge the composers and place them in a personal ranking, which I do not want to. But one should study and learn from all the ingenious composers of the past centuries and their works. I cannot adhere myself to any of them, but I am impressed by a variety of compositions from different periods, especially since the insight into the ones that I am intensively working with at any given time, is so direct. You are also a composer. How did that come? Composing must have been similar to playing the piano. From the time on when I could read and write music, I tried to compose myself, first at a very primitive level until I gradually explored different styles, with all the improvisational background. Both, improvisation and composing, have been self-evident, from my desire to express myself independently of what has already been written. 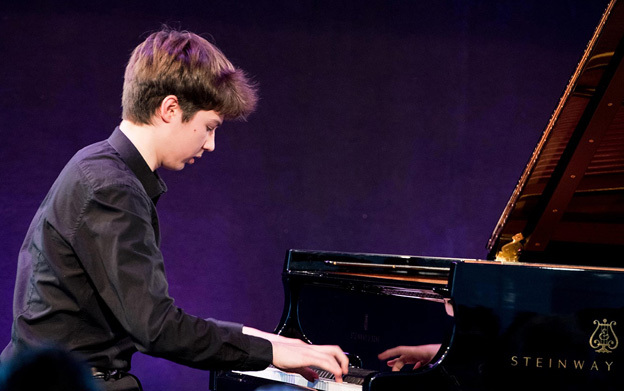 Which importance did the Music Academy Liechtenstein and the Festival Next Generation have for the development of your career? The almost three years at the Academy in Liechtenstein with their uniquely intensive weeks have greatly enriched me not only on a professional level. They differ from conventional master classes because they ensure a very effective daily work with the professors, even on a social level, through exciting discussions and the high overall level of the students. The social component, the pleasant climate of the student home, as well as the individual care and the holistic education are tremendous. This is similar to the Next Generation Festival which includes an international group of young musicians and at the same time creates an almost familial atmosphere where you can establish contacts and make friends. And what does the ICMA Discovery Award mean to you? It is an exceptionally great honor for me to be awarded this prize by such a high-profile jury. I am very delighted to be a part of it and to be able to play in Leipzig, in a venue so rich in tradition, accompanied by an equally magnificent orchestra. It’s also a responsibility which I will always try to do justice to in the future.